Aldi is sending Australian shoppers into a frenzy with the re-release of a chic and stylish butcher’s trolley as part of its new Special Buys range. The storage solution, priced at $69, was a runaway success when it was originally launched in 2016. This recent relaunch – part of Aldi’s latest kitchen collection – is the first time it has been available since then. 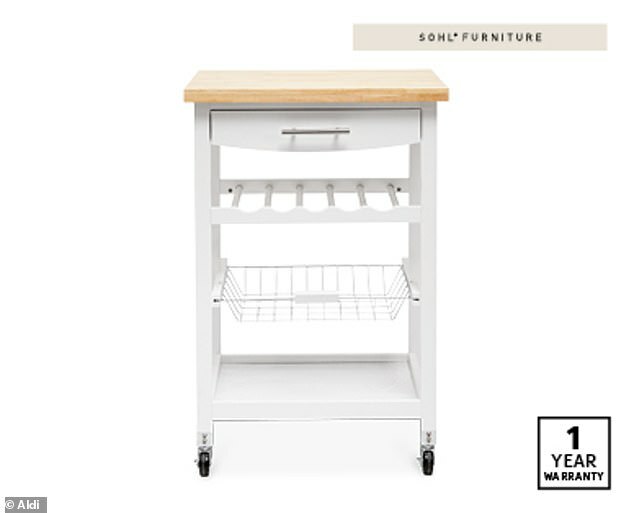 The 2019 update is not only cheaper (the original version cost $149) but it’s also been altered to fit smaller kitchens. 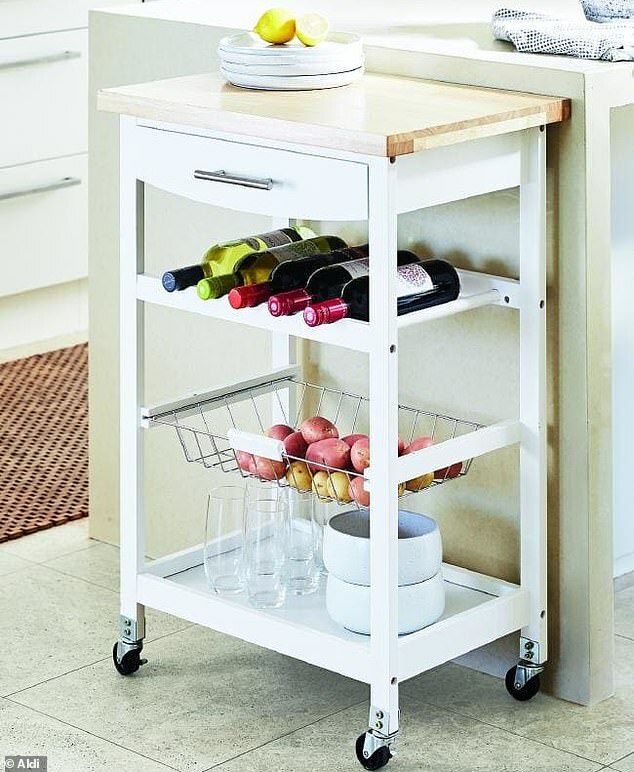 The trolley, which comes in white, features a washed wood chopping board, a utensil drawer, a wine rack and a wire basket. 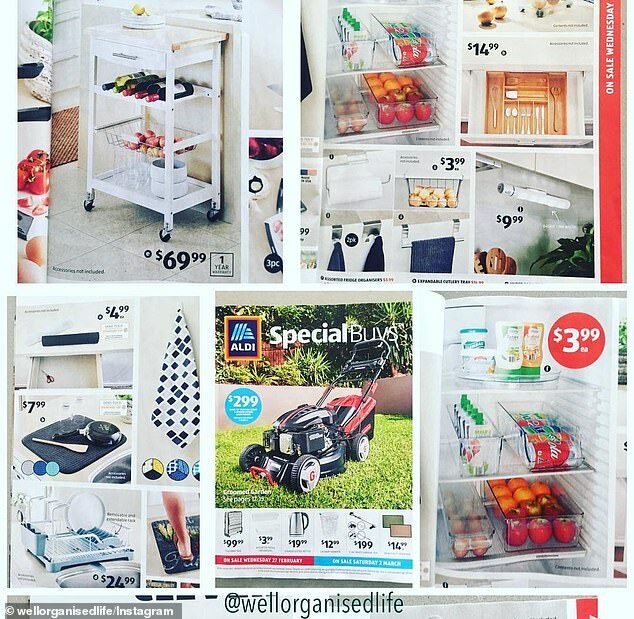 ‘These sell out quick so get in, they work great in the pantry,’ wrote the Instagram user Wellorganised Life alongside an image of the trolley and other Aldi items. Those looking to compare prices will be pleased to know that purchasing the affordable accessory from Aldi offers a possible saving of at least $100. Currently, a similar item is available from the Australian retail outlet Temple & Webster and is priced at $129. The new collection by Aldi is ideal for those looking to tap the current trend of Marie Kondo-style organisation. 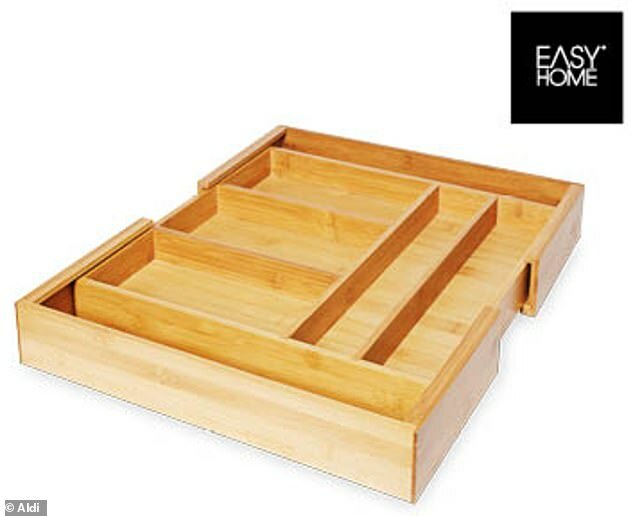 The stellar round-up of items includes an expandable bamboo cutlery drawer, priced at $14.99. Kmart is also offering an expandable cutlery organiser, however, its version is priced at $19. Shopping at Aldi ensures a saving of $4. Those looking to tackle the pantry will find the task much simpler with a few of Aldi’s 12.5L stackable plastic containers, priced at $7.99. Not only do the containers feature a flip-lid, but they are also on wheels, which means its possible to utilise space at the bottom of your cupboards. A similar item, which offers 8.5L capacity available from Spotlight, is priced at $20. Part and parcel of creating a streamlined home is the ability to store items in an efficient manner and in a way that doesn’t appear overly cluttered. 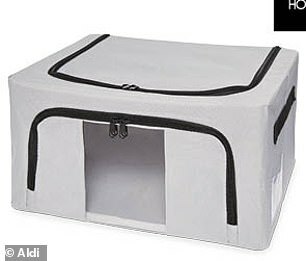 Aldi’s storage boxes, priced at a very affordable $6.99, are an ideal solution. They not only look great but also come with a transparent window to easily identify goods. The edition created by the budget retailer is half of what similar boxes are currently selling for on online outlet Amazon. 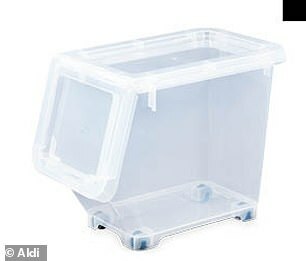 A range of organising accessories have also been included as a part of Aldi’s Special Buys range. 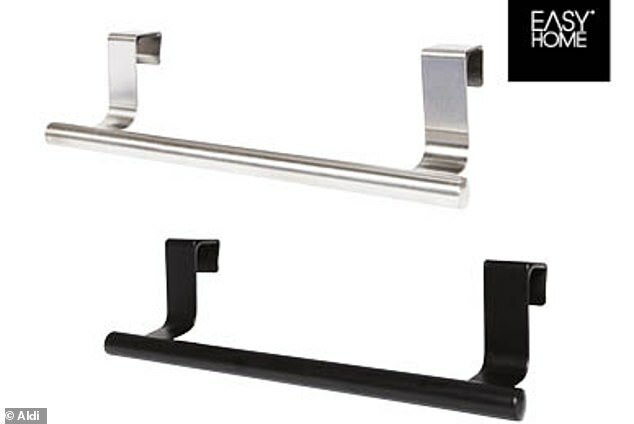 These include undershelf basket organisers, paper towel holders, towel rail and storage hooks, all priced at $3.99 each. Other must-have products include an under cabinet motion light, priced a mere $9.99, a frying pan storage rack for $7.99 and food storage containers, priced at $3.79 each.